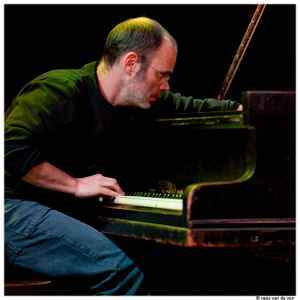 Swiss pianist and composer, born 1964. He has worked for the cinema (notably for the Swiss director Alain Tanner), for radio, television and the theatre. He put the writings of Marguerite Yourcenar to music and composed the opera “Ma Barker”. His first live appearances were with the rock group “Monkey’s Touch”, which toured the circuit regularly in the 80s. He now plays numerous gigs and concerts with musicians who experiment with improvised music, including Fred Frith, Martin Schütz, Michel Doneda, Ray Anderson, etc, and his regular trio he co-founded with American percussionist and composer Gerry Hemingway, and Swiss bassist Bänz Oester. These myriad encounters, exchanges and tours have given the music of Michel Wintsch a highly personal, unmistakable note.